Yes!!! It’s possible to enjoy the Thanksgiving Holiday with healthy foods that TASTE GOOD and without feeling deprived. Feel good about what’s on your plate this holiday season as you enjoy healthy, ready made, plant based options that will help you avoid those ingredients that pack on the pounds and leave you tired after a meal. 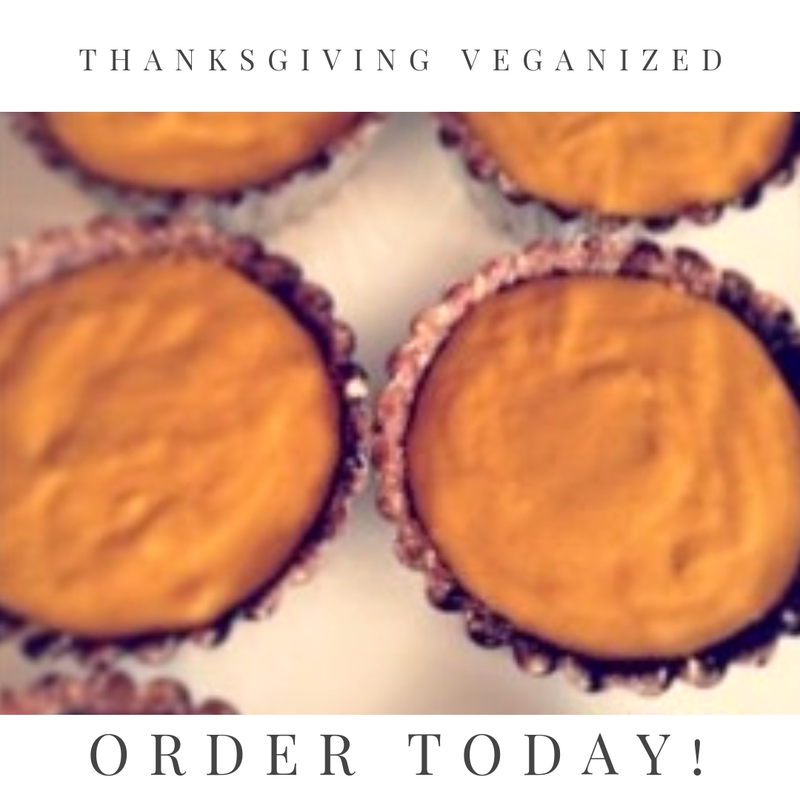 Consider incorporating a few meatless selections to your existing menu or select a full vegan menu for you and your family to enjoy for the upcoming Thanksgiving holiday……..
You will then receive a confirmation email to schedule pickup and/or delivery on Nov 19th – Nov 22nd. Click on the pull down menu below to make your selections and place your order. IMPORTANT NOTE: November 11th is the last day to place your order. Pick up and delivery will be available November 19th – November 21st. Minimum order of $120.00 is required. REFUND POLICY: There will be NO REFUNDS after Monday November 12, 2018 at NOON.